Exactly 75 years ago, between November 7 and 13, 1938, a wave of anti-Semitic pogroms swept across Germany and Austria. This year, a group of German historians chose to commemorate the events, which marked a turning point in the Nazi’s persecution of Jews, using an unconventional medium: Twitter. On October 28, the five historians who stem from different German universities, started live-tweeting the events of 1938 in German, as if they happened now, using the handle @9nov38 and relying on historical data that include newspapers and postcards. 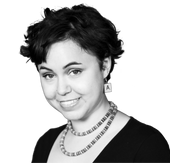 This story "Live Tweeting the Kristallnacht Pogroms" was written by Anna Goldenberg. The assassination was used by Nazi propagandists to justify the ensuing pogroms across Germany and Austria, which lead to the looting of thousands of synagogues, Jewish institutions and home as well as the death of 400 Jews. In the evening of November 7, there are the first tweets recounting attacks against Jewish institutions, as the inventory of the Jewish school in Kassel is destroyed and thrown onto the street. Even though Moritz Hoffmann, one of the participating historians from Heidelberg, wrote on the group’s homepage that the project is an experiment, it is not the first endeavor to use social media to “relive” German history: Last year, a regional TV station used Twitter to recount the fall of the Berlin wall on November 9, 1989 using fictional characters. The initiative was criticized for using over-simplified language and content. Today 75 Years Ago, as the project commemorating the November pogroms is called, therefore relies on historically reliable sources only. Because of the limited length of tweets, the group has announced that all the sources will be published on their website once the project is finished in mid-November. The German term “Kristallnacht”, which translates to “crystal night”, is widely used to refer to the November pogroms in the U.S. and elsewhere. But it is commonly considered inappropriate in Germany and Austria today because it sounds like a flippant or cynical description of the shattered glass from the synagogues and shop windows on the streets, which resembled crystals. Anna Goldenberg was the Forward’s culture fellow.